ICE - Official BASI Training Centre. What is this? BASI takes advanced Snowsport enthusiasts, using a step by step progression, through an award system which meets the market place needs and national and international requirements. ICE is an Official BASI Training Centre and a provider of BASI Gap, the Official BASI Gap Course. ICE operates under a licence from BASI to provide courses to its membership and is governed by the strict standards of BASI. 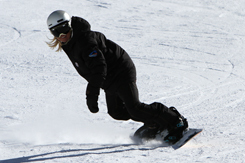 To create a national and international reputation for excellence through the provision of the highest quality of training and support services for Snowsport instructors and to ensure the credibility and employability of the BASI members around the world. 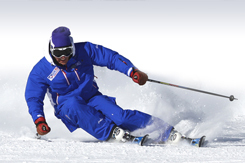 BASI deliver courses and provide qualifications for 5 disciplines: - Alpine (Ski), Snowboard, Telemark, Nordic, Adaptive (for teaching those with disabilities). BASI is governed by a board of Directors who are elected by the membership, and run by an executive with administration provided by a full time team of staff based at Morlich House in Grantown-on-Spey. Every year full members are given the opportunity to purchase clothing and the very latest equipment from major suppliers at huge discounts. These offers are available through the Member’s Area. The BASI annual subscription fee includes worldwide cover up to £5 000 000 Public Liability and Professional Indemnity Insurance when you are working as an instructor. BASI qualified instructors will receive an annual licence. This contains details of your current level of qualification, last refresher date and an up to date photograph. This card is recognised throughout the Snowsport industry. 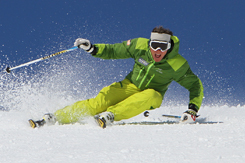 All the main snowsports countries are current members of the ISIA (the International Ski Instructors’ Association) and BASI is represented on the ISIA Board. 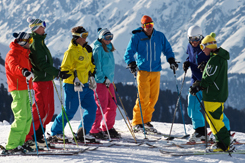 The International Ski Instructors Association was formed in 1957 and today has over 30 member countries around the world. Here is an excerpt from the ISIA mission statement. “ISIA is to be recognised as the global ski and Snowsport instructor organisation, known for its high standards within the ski and snowsports teaching profession and continually developing to meet the needs of clients and the ski industry worldwide”. All BASI members receive the BASI E-News every month (if they have provided BASI with their e-mail address) and their own copy of the BASI Newsletter, which is published quarterly. These publications are produced to keep members up to date and informed of all developments within BASI. Members are encouraged to contribute articles, letters and photographs to the newsletters. BASI also produces its Annual Report, which openly reports on the activities of BASI in the various disciplines along with the audited financial accounts.